Sensory Trauma Changes Everything – trauma. stress. autism. In this project’s first post, I cited to a research abstract that mentioned the possibility that autistic individuals might be vulnerable to posttraumatic stress injuries caused by atypical or maybe autypical (not common for neurotypical, allistic people but common for autistic people) events and experiences. On that list of potential autypical triggers for a posttraumatic stress injury was “sensory overstimulation.” I rephrased that to read “sensory-related pain.” I wanted to express that not everyone with a sensory processing difference might experience traumatic stress caused by “overstimulation.” For some sensory types, understimulation or the wrong mixture of sensory experiences happening or not happening could also lead to traumatic stress. Characterizing sensory pain as “overstimulation” is an oversimplification. I am citing to the list in the body of this page’s text because the list for SDD felt more accurate to me in the body of text than in their initial outline. Also, if you are not familiar with all of these “senses” and thought we only had the archaic “5 Senses” I was taught in grade school, this website also has a useful page describing all 8 Senses. Hopefully this outline illustrates that SPD’s manifestations have a great deal of variety. My mind assumes this means that Sensory Trauma could also have an abundance of variety. These SPD manifestations listed above can be mixed in thousands, millions, a billion possible combinations (thanks to my partner for doing the factorial). “Sensory overstimulation” fails to encompass the whole of SPD variations and thus the whole of potential Sensory Traumas. Now I am going to use a story about our oldest child as an exemplar to illustrate why I believe that the existence of Sensory Trauma changes everything. We did not learn that our child was autistic until they were 2.5 years old. However, even before learning about their autism, we knew that our kid was super sensitive to so many things in our environment. Sometimes it took a lot of time to figure out what exactly this particularly mysterious small human needed more or less of, what was causing them so much distress!! We set out to be very responsive, gentle parents. My psychology background gave me an interest in attachment theory, and it was very important to me to make sure our little one’s attachment needs were being met in spades. While attachment theory and attachment parenting are arguably very different things, we opted to follow several practices common to attachment parenting in order to accomplish the goals I had in mind thanks to attachment theory. I became a particularly big fan of the research and writing of Tracy Cassels, Ph.D. and her website, Evolutionary Parenting. Those early parenting days also involved a lot of time spent reading Dr. Laura Markham’s writings at Aha! Parenting and the Ask Dr. Sears resources about raising a high needs baby. We were trying hard all the time to be the best parents we could be, and I was lucky to be a full-time caretaker staying home with our babe. Why do I think our autistic child had Sensory Trauma from their early life experiences? Well, I think mostly that is parental intuition. But it is also based on my close observation of my child, my research, and my having eyes to see what traumatic stress looks like given my own experience with and research about trauma. When our little one first was put in a car, there was an enormous about of stress response. It was scary for us as brand new parents. I doubt that any new parent feels totally safe putting their baby in a car for the first time. But this was something more. My gut said it was something more even then, but I wrote that feeling off as new parent jitters. Except as all our friends’ babies were eventually able to adjust to trips in the car, our baby was not making that adjustment. A quick drive to the grocery store incited extreme bouts of crying, turning himself bright red, extremely shallow breathing, hoarseness, and even having to pull over when the crying began to look and sound like far more distress than they could safely manage alone. I am sure a stress feedback loop was reverberating between parent and child in these situations, which certainly did not make these recurring stress experiences easier on our infant. However, I believe what we were witnessing went beyond my stress or my partner’s stress making our baby upset. Furthermore, there was no vomiting or other evidence of traditional “car sickness” to cue us to our child possibly having a verifiable struggle being in moving vehicles. We knew that our baby had intense meltdowns in the car for their entire first year of life and beyond, but the people in our sphere that we told about this struggle either minimized or normalized it. Additionally, we knew that if we did “too much” in a given day, our child had meltdowns for hours in the evening. Again, the people in our sphere minimized or normalized this. Perhaps it was the amorphous “colic.” While I wish I had found their information sooner, I am grateful to bloggers and other parents writing about infant “sensory overload” and alerting me to the possibility that our child was experiencing sensory overstimulation. Once I learned this could be the issue, I experimented with the sensory input in our days. I learned that if we minimized life’s movement, sound, and visual sensory input during the day, then our child’s long meltdowns did not happen. Whereas if I played the radio, watched a TV show, or had company over to visit, the evening meltdowns were awful. I kept waiting for this sensory overstimulation “phase” to pass, but it was enduring. By the start of year two, the car meltdowns had generalized to the act of getting into the carseat. Our child started to have meltdowns about being strapped into their seat in the car. We tried every trick we could think of, every suggestion of friends or the internet, to make the experience more pleasant, to be patient, to offer distractions, to drive as little as possible. However, there were events which required driving, and we often felt defeated and remorseful because our tricks failed and we resorted to using brute force to get our toddler into their carseat. When our toddler began Occupational Therapy around 2.5 years old, we completed a sensory profile and I explained the struggles in the car to the OT. At this point, our child was also trying to escape from the carseat while we were driving. From the onset of therapy, the therapist tried to put our child into various types of swings. On its face, swinging was a fairly benign activity, one that most of our culture would even consider fun and an important part of an enjoyable childhood. In this therapeutic setting, the swing was a common element to the sensory integration therapy the OT wanted to use with our child. Except, our child reacted to the swing like it was a threat to their life. This fear response was not just the first or second time the OT tried to use the swing during therapy but for months until I finally ended the therapy. Being placed on the swing led to our child having what I would describe as a desperate fight-and-flee reaction. There was crying, swatting and hitting to get away, and a quality of desperation and anxiety in my child’s vocalizations. If I was close to my child in this state, I could also sense rapid, shallow breathing and a pounding heart. There were several clear signs of a stress and fear response. I recall asking the OT if the swing was really that necessary for the therapy. I would just as happily continue therapy without it because clearly my child did not feel safe with the swing. I was uncomfortable. I tried to speak up. Sadly, I was also naive and did not push harder to advocate for my child as a unique individual in those first few months of OT. The OT believed the swing was crucial to therapy. I trusted in the therapist as a professional and in the therapy as a modality. I let this therapist continue to try to put my child into a swing each session, once or twice a week, even though I was obviously seeing my child in a fight-flight-or-freeze response when the OT attempted to put them into a swing. In hindsight, I am incredibly sorry I allowed this to continue for as long as I did. I am also simultaneously grateful that I found the strength to trust my gut and end the therapy after only a few months time. And I am grateful, and this part is key, that my child had a fight-and-flee response under this type of stress and fear. Many children exposed to a chronic source of stress and fear might respond with a freeze response or a submit/appease response. If my child had been in those latter, internalized states, I would not have been alerted to how much fear and stress was happening inside my child’s body. I would likely not have known to stop the therapy or reconsider how we were approaching things like swings or car trips. I was in some sense lucky that my child’s stress and fear response was externalizing. Without language-based communication, my child was extra vulnerable to chronic Sensory Trauma, and in this case, their externalizing fear and stress response was a more in-my-face behavior-as-communication than if my child had experienced a more internalized fear and stress response. While this experience with our child’s first OT was stressful and even traumatic for both my child and me as a witness, it was also through this experience that I started to understand how severe my child’s vestibular sensitivity was. Something about intense vestibular input, like a swing and LIKE A MOVING CAR, was causing my child to feel something that I can only call pain and a trigger for a fear and stress response. Unwittingly, the OT, myself, and my partner had all taken away our child’s sense of agency and repeatedly exposed them to often inescapable events and experiences that caused a fear and stress response: the swing, the moving car, and possibly other sources of painful sensory input as well. Our child’s fear and stress response was already generalizing from the moving car to the carseat. It also generalized from being placed on a swing to the verbal suggestion of swinging. Eventually, things generalized to the act of getting dressed because, I believe, our child associated dressing with getting ready to get in the car. It all seems quite clear from where I stand now that the vestibular input and our child’s lack of agency surrounding exposure to the vestibular input were causing my child a type of chronic posttraumatic stress. But that fact was not clear for me until it all began to click together into a picture that I understood and could adjust our lives to accommodate. In our case, putting those pieces together took 3 years, 3 full years of chronic stress, lack of agency, and Sensory Trauma. Never in my life, in all the parenting books and blogs, in all the autism literature that I had been reading did I read something that alerted me to the possibility that vestibular input could cause my infant/toddler so much pain that my child could begin to show signs of posttraumatic stress. Our child was not only having a hypervigilant response to anything reminding them of vestibular input. They were also having horrific nightmares and night terrors. Sleep had become a serious problem. Nothing I read had suggested to me that perhaps I needed to stop putting my infant/toddler into the car until we found a way to introduce vestibular input in a non-threatening way that respected my child’s agency and need to protect and control their own feelings of safety. I mean that sounds so extreme, right? In a 2010s world in the United States, who would consider that their baby could not ride in a car? However, extreme minimization of car travel was an enormous part of how we have worked through our child’s trauma. Along with this tactic of returning agency to our child with the car, we also put swings around our home and yard, swings available to experiment with at our child’s discretion. We never pushed swinging. I didn’t even want to suggest it. The swings were there. That was all. Very gradually over the course of more than a year, our child slowly began to play with the swings on their own. This often still triggered a fear response and big emotions. So we offered comfort when needed and also sometimes encouraged them for having been so brave. This was not exposure therapy. This was not systematic desensitization. This was relational and emotional healing, the building of trust, via the prioritization of our child’s agency and control over their own body and experience, especially including their interactions with events and experiences that caused a stress and fear response. This was facilitated, child-led trigger management. This was the holding of a safe container for the processing of sensory anxiety, fear, stress, and past trauma, which enabled further maturation of their sensory system. All of those tactics were things I primarily learned because of my own traumatic past and my study of trauma science. These ideas didn’t come from the system of “therapy” that had been built up around autism. Instead, we were utilizing trauma science concepts to help our autistic child maneuver in a world that was fundamentally traumatic for them. Imagine that my partner and I knew nothing about trauma, the fight-flight-or-freeze fear and stress response, sensory issues, attachment theory, responsive parenting principles, or the like. What if an autism diagnosis had left us feeling so disenfranchised as parents, so out of our depth, that we did not push back on therapy when it looked like therapy was hurting our child more than helping? What if I had never noticed the patterns of our child’s distress relating back to sensory input? If we had failed to see the patterns and respond to them in the sensitive ways we had, our child would have continued to have their agency stripped from them while placed in a chronic, recurrent, sensory-related traumatic stress state. I believe it is entirely possible that without our interventions and radical accommodations, our child would have been living with their autistic neurology as well as complex posttraumatic stress injuries. Based on what is known now about developmental trauma, I fear that Sensory Trauma could have led to serious impacts on our child’s wellness. 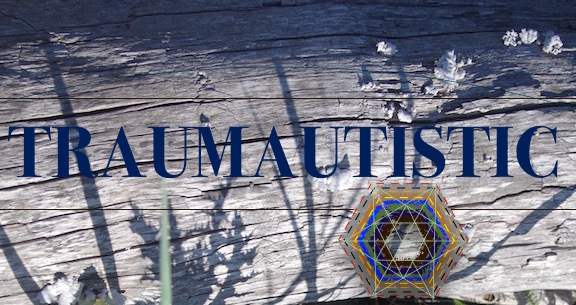 I am deeply concerned that Sensory Trauma is creating a subset of developmental trauma in highly sensitive autistic children who are born with significant sensory differences that are not identified and compassionately, radically accommodated to ensure a child’s sense of safety and agency in early life. For more detailed information about developmental trauma and how it impacts child development, please go here and learn. For today, I don’t want to take up space and time regurgitating information that is already so well organized and displayed elsewhere. Go there. Take the time. Learn about developmental trauma. Then imagine if all of these developmental trauma impacts were able to be set into motion by chronic Sensory Trauma alone. No need of severe neglect or child abuse. Just the failure to identify and compassionately accommodate a child’s significant sensory differences in early life. If this were true, it could mean that most autistic people have co-occurring complex posttraumatic stress injuries. It could mean that teaching parents how to make sensory-informed, trauma-sensitive choices with their infants and toddlers might improve quality of life for autistic people. And that, well, that would change everything.